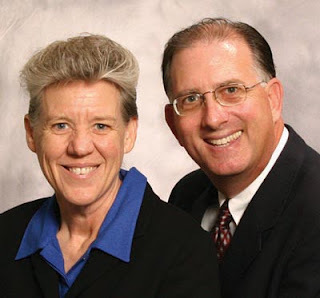 Joseph Bir, a 1978 graduate of Texas Bible College, and his wife, Loretta, worked in a Christian school and served as assistant pastors before they pioneered a home missions work. They received their appointment as United Pentecostal Church missionaries to Paraguay in May 1986. This appointment resulted from the Birs’ long-standing foreign missions burden. Following a year of language study in Costa Rica, the Birs arrived in Paraguay in December 1988. He is now the field superintendent and “is involved in just about all aspects of ministry.” He also serves as the area coordinator for the South America’s Southern Cone, which encompasses Argentina, Chile, Paraguay, and Uruguay. Loretta Bir is involved in children’s and ladies’ ministries and teaches in the Bible school. She can usually be found translating material into Spanish late at night and in the wee hours of the morning.